Speculative stocks are like children: You must watch them all of the time. But unlike children, it’s not smart to fall in love with if-come investments. Like the song says: “know when to walk away, know when to run.” Such is the case with the Chinese electric car company Nio (NYSE:NIO). I made a bullish call in December when the NIO stock price was around $7 per share, noting the risk but also highlighting strong backing from Tencent Holdings (OTCMKTS:TCEHY), one of China’s biggest internet companies. I also saw that Citron Research, normally a short seller, had gone long the shares. While NIO stock hit a post-IPO peak of more than $10 early in March, the shares opened March 21 at $5.85. Even at that price the $6 billion market cap is 12 times the company’s revenue. Speculators may have missed their selling window. With speculative investments you need to check the news every day. Citron, whose bullish thesis led many into the stock in the fall, sold for a 50% gain in February. By March 11 InvestorPlace contributor Luke Lango saw the bull thesis weakening and that was an understatement. The pop in NIO stock had come and gone. The catalyst for the fall was Nio’s March 5 earnings release showing a loss of $511 million on sales of $435 million and a vehicle margin of just 3.7%. The company still had $1.2 billion in cash at the end of 2018, but at the rate it was going that could be gone by June. Worse, January sales actually fell, to 1,803 vehicles from 3,318 in December. The company acknowledged it accelerated sales in December ahead of a cut in electric car subsidies in China this year. It also blamed a general slowdown in the Chinese economy. One more thing. Tesla (NASDAQ:TSLA) is now in China and in a big way. Model 3s are available there, and a factory will be producing them in Shanghai by the end of the year, eliminating Nio’s domestic price advantage. About the only bullish thing that can be said about Nio is that it makes a very nice car, sold in a very nice way. The company aims to build a community around its buyers, with mobile charging stations dispatched to their homes, an app to connect them, and a physical Nio House for them to congregate. 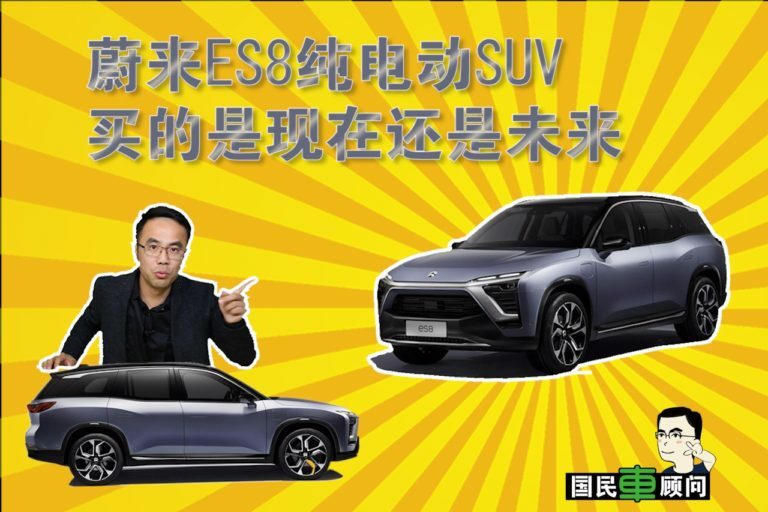 The ES8 is an SUV made by JAC Motors, an existing car company, and this does give the Nio model a cost advantage over Tesla, which builds factories as it builds cars. Nio’s abandoned its plan to build a plant in Shanghai. When Nio puts its mind to performance, it can make a great high-end electric. Its 1,300 horsepower EP9 was featured (see below) on the Amazon (NASDAQ:AMZN) show The Grand Tour recently, and Brit-host Jeremy Clarkson went gaga over the performance. Unfortunately, as he admitted in the segment, he couldn’t afford it, and you can’t either, because the car he tested comes with its own pit crew and is not street-legal. It is, like the company, more flash than substance, more demonstration than reality. Nio is less a Chinese Tesla than it is a demonstration of just how high the luxury market goes in China. Nio is highly innovative but it needs a growing stream of patriotic — which is to say anti-American Chinese — willing to pay $60,000 for a car and abandon their dreams of home ownership, in order to keep the car maker growing. With East Asian growth slowing, investors still holding Nio Inc stock may have also missed their window of opportunity. Dana Blankenhorn (http://www.danablankenhorn.com) is a financial and technology journalist. As of this writing he owned shares in AMZN. He is the author of a new mystery thriller, The Reluctant Detective Finds Her Family https://www.amazon.com/Reluctant-Detective-Finds-Her-Family-ebook/dp/B07FSRDR4Y/, available now at the Amazon Kindle store. Write him at [email protected] or follow him on Twitter at @danablankenhorn. Article printed from InvestorPlace Media, https://investorplace.com/2019/03/nio-stock-the-smart-money-bails-leaving-investors-to-mull-next-moves/.